China is a land that is filled with great tradition and brave warriors. Do you have what it takes to follow in the footsteps of the masters of 5 reels online slots gone by? It is said that before the internet that Chinese developed their own slot machines made from stone and porcelain. 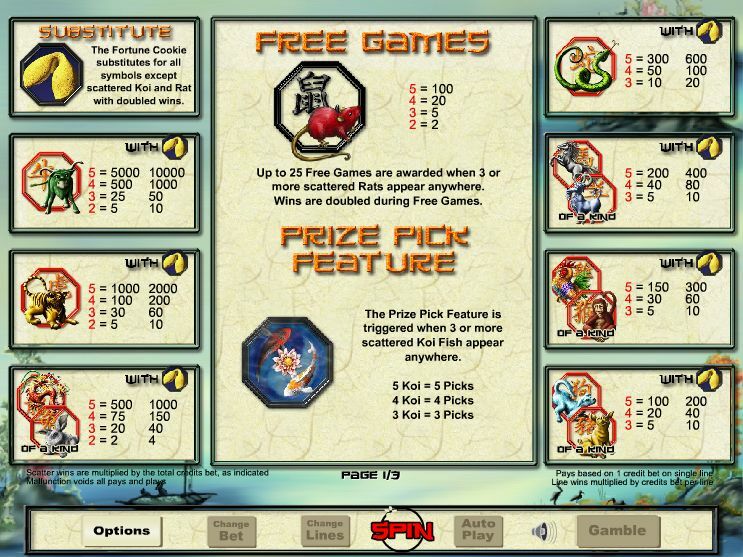 Thankfully you don’t need to go to that much trouble with this oriental online slot adventure. Deposit and Spin today at Easy Slots, click here! Eyecon first started in 1997 as a computer games company and two years later they built their first online casino system. Since 2003, Eyecon makes a name for themselves with their high quality slot games. Filled with creativity and innovative ideas, their developer team always comes up with new themes to enhance their long list of launched games. Eyecon has a big passion for game development and you will be able to feel this in their games, which is one of the reasons why they have become very popular amongst their players. Learn more about online slots with free spins. 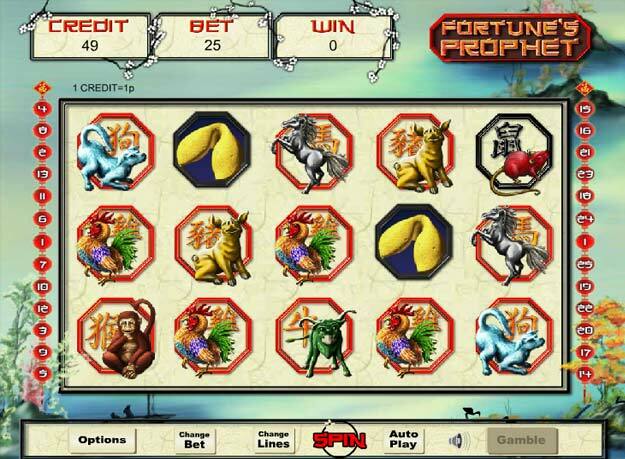 Fortunes Prophet is a nice video slot inspired by the chinese zodiac signs. The background looks delicate and elegant with some asian plants to the sides and a blue/beige colour scheme. The reels are within a simple frame that has a beige background. All of the symbols are framed in an octagon and scatter or bonus symbols have a different coloured frame, making it very easy to spot them quickly when you land them. The game offers a great atmosphere with a nice soundtrack and neat art-style. On the five reels and three rows are all the chinese zodiac signs, including a pig, rams, some snakes, cute rabbits, a rooster, the dangerous tiger and a majestic dragon. There is also a wild symbol which is represented by the delicious fortune cookie and can only be found on reel two and four. The jackpot is a great 5.000x your line bet, but if the payline that triggered the jackpot includes a wild symbol it will be doubled. 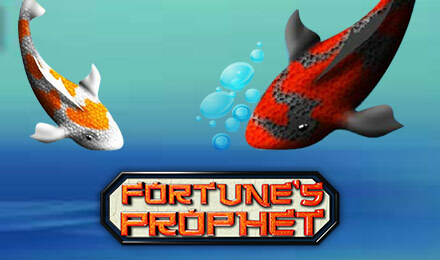 Look out for the Koi Fish, if you land three or more of it you will activate a fun bonus game. The Prize pick bonus game will present you with several items and you have the chance to pick 5 of them. They will reveal nice multiplier prizes or add ons here. The rat scatter will trigger the free spins feature. If you land three, four or five of them you will be awarded 15, 20 or 25 free spins respectively. During the free spins feature all your winnings will be doubled. There are 25 paylines in this game and to try a round yourself you will have to bet as little as 1p or, if you like, up to 50 pounds. Join today and play uk slot game! Fortunes Prophet has a nice game feel with a neat art-style and great bonus features to discover. The free spins can turn very lucrative with all the doubled wins, and the multipliers that you could win with the pick prize feature will help you to get bigger prizes by the end of the game. The zodiac theme is well represented in this game and the symbols are drawn in great detail, turning this game even more engaging. Fortunes Prophet will provide an excellent gameplay experience with a great variation in mechanics. Here's another excellent slot at https://www.easyslots.com/.